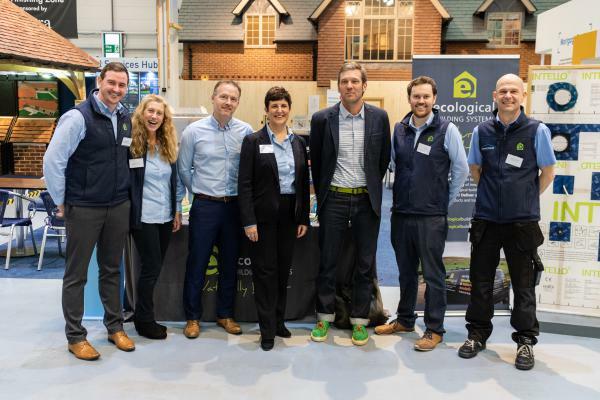 Professionals from across the Passivhaus, architectural and building physics communities gathered in London and Swindon during October thanks to an airtightness events programme hosted by Ecological Building Systems, in partnership with the BBA and pro clima. Originally conceived to celebrate BBA accreditation of pro clima Intello Plus intelligent airtight membrane, the events have developed into an impressive programme of five, full-day seminars, each worth six structured CPD points, which has been touring the UK since the first event in Swindon on 16th October. Combining presentations from Ecological Building Systems and pro clima experts with guest speakers, installation demonstrations and chaired discussions, the events have focused on specification strategies for optimising energy efficiency via the building fabric, safeguarding buildings from moisture-related structural damage and creating healthier indoor environments. The Swindon event at The National Self Build & Renovation Centre, attracted a rich variety of delegates and kicked off with an introduction from Gary Newman, executive chair of The Alliance for Sustainable Building Products. It also featured a keynote address from sustainable design expert and TV presenter, Charlie Luxton, who talked the delegates through his design and construction journey for his own low energy home. The London event at The Building Centre on 18th October was introduced by Simon Corbey, associate director at The Alliance for Sustainable Building Products and featured a keynote presentation from Passivhaus consultant, Patrick Chester, and director of eco construction company, Oasis Construction, Ioan Sulea. The event programme has since moved on to complete the tour at Titanic Belfast, Construction Scotland Innovation Centre, Glasgow and The Studio, Birmingham.